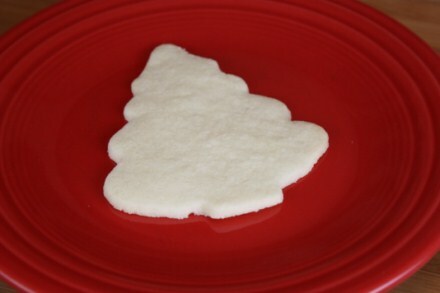 My sisters and I have fond memories of making sugar cookies when we were kids. We always made them during the holidays. We enjoy making them, cutting them out, frosting them, and of course eating them. 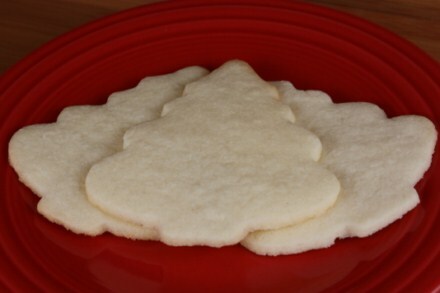 My mom never looked for perfection in the sugar cookies we made. She let us have fun and be creative while making them. 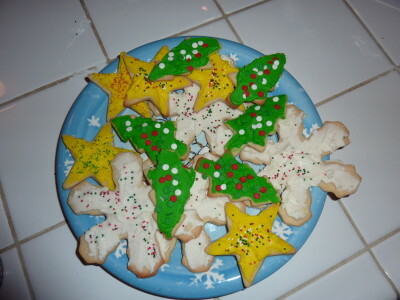 They may not have been the prettiest cookies, but we always had so much fun. Today, my sister Evie is sharing a recipe today that has been a family favorite for many years. We have all made this recipe many times. I hope you enjoy it also. One of the few holiday traditions I remember from childhood is baking and decorating sugar cookies. There was always something special about rolling out the dough, mixing up different colored frostings, and decorating cookies. Since my own daughter is only four months old, I usually borrow my best friend’s kids to help me with my holiday sugar cookies. I know that some people prefer to have perfectly decorated cookies. However, I love the fun in letting kids decorate them however they want. I make a traditional butter cream recipe and let the kids have at it. My sister, Flora, adapted this from a Taste of Home recipe years ago and we’ve been making it ever since. The addition of cream cheese makes these cookies extra soft and delicious. Cookies lovingly decorated by kids. Add sugar, egg yolks, and vanilla. Mix well. Gradually add flour. Stir until combined. Dough will be slightly sticky. Roll dough out on a floured surface until about a quarter inch think. Cut into shapes. Place on a lightly greased, or lined baking sheet. Bake at 350 for 10-12 minutes, or until just barely starting to brown. Do not over bake. Combine 1 ½ c. sugar, butter, shortening, vanilla, and 3 TB milk. Beat until smooth. Add enough remaining milk and food coloring until frosting reaches desired consistency. My daughter is also four months old. Our daughters must have been born around the same time. My daughter’s name is Heidi and was born on August 6th. She is a great blessing to us and we greatly enjoy her! I read your blog entries and greatly enjoy them. I found your site from Money Saving Mom blog. @Joy A., I am so glad that you found my site and have been enjoying my recipes. This cookie post is actually a guest post by my sister Evie, she is the one with the four month old baby. Who I might add is a very cute baby. Evie has been sharing a few of her favorite recipes over the last month or so. My kids are 8, 10, and 13 and I miss the baby stage. Mine are growing up too fast. Thanks for reading. Just made these, and they were yummy! I think next time I make them I’ll add a little bit of salt, though… Just a tiny something missing, and I think salt is that thing!